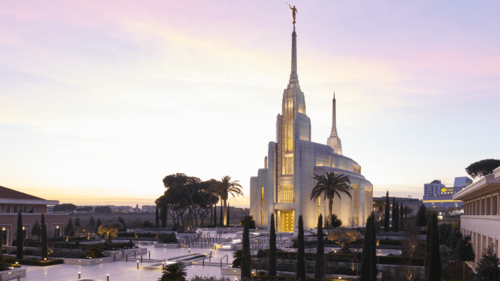 The Rome Italy Temple has received extensive international and local coverage. 10 December 2018 | POSTED BY Malcolm Adcock Whether it’s what to buy, how to bring up our children, or where we work. This freedom to choose, our God-given ‘agency’, is indeed a Divine gift from an infinitely-loving Creator. 19 April 2017 | POSTED BY Malcolm Adcock With increasingly diverse communities it is critical that we show respect for everyone, regardless of their backgrounds, social views or heritage. This principle of respect is not new. 8 January 2017 | POSTED BY David Creer As I was reading The Times newspaper I noticed an article from a representative of the Muslim community. He said, “If you want to know about the Muslim religion, come meet with us.” He went on to explain the importance of getting to know and understand people who are different. 30 November 2016 | POSTED BY Malcolm Adcock As Scotland marks St Andrew’s Day on 30 November, millions of proud Scots throughout the British Isles – and around the world – will reflect on tradition, culture and simply celebrating that special day with family and friends. 12 July 2016 | POSTED BY David Creer There are two important aspects of member involvement in our church – volunteering to serve and being called to serve. Because in The Church of Jesus Christ of Latter-day Saints we do not have a paid clergy, members give their own time in leadership, teaching, and service to their fellow men/women/children. 19 April 2016 | POSTED BY Elder and Sister David Creer In the Sunday Times Magazine an article entitled Relative Values by Danny Scott, dated April 3, 2016, is about Katie Walsh, the most successful female jockey in Grand National history. Katie and her father share their feelings about each other, Katie’s story of becoming a jockey, and about winning the biggest steeplechase of the calendar. What Does Religion Have to Offer? 15 March 2016 | POSTED BY David Creer We continue to read and hear that religion isn’t a relevant part of many people’s lives in today’s world. The other day while reading the Radio Times I saw an interview with TV survival expert, Bear Grylls. This accomplished man uses his knowledge, humour, skills, and tenacity to survive in the wild. Bear is very popular and brings out the “adventure” in all of us who follow him.